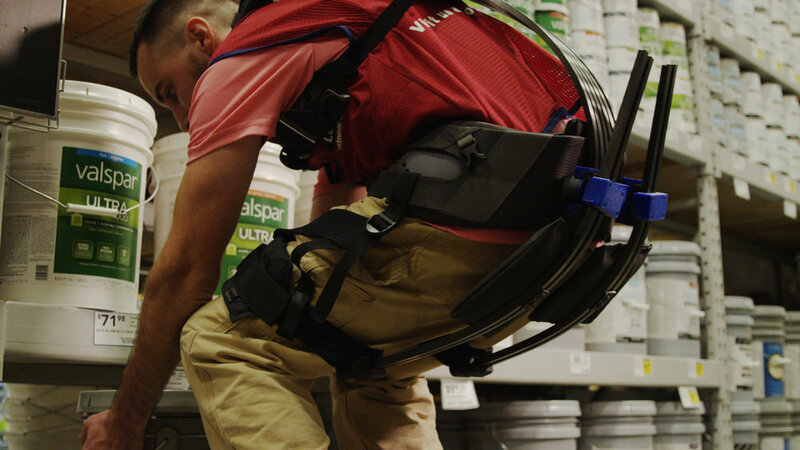 In partnership with the Assistive Robotics Lab at Virginia Tech, we kicked off the exosuit pilot with stock employees at Lowe's of Christiansburg, VA in April of 2017. Lowe’s stock employees are responsible for the critical task of unloading every truck delivery and moving all products onto the sales floor, during the day and throughout the night. They spend up to 90% of their time at work moving and lifting freight. 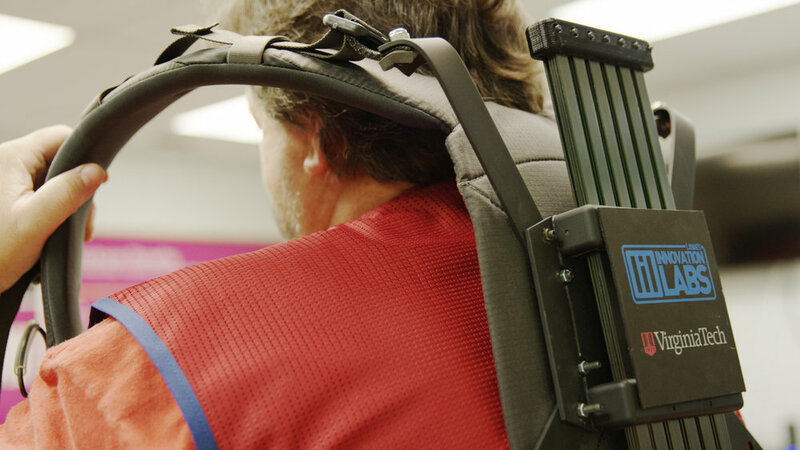 The lift-assistance exosuits are designed specifically to keep these employees strong and healthy. They are a type of soft robotic wear, designed with carbon fiber rods on the back and legs, which assist with the lift mechanism, and lightweight, conformable fabrics ensure fluid, natural movements. The suits store and release energy as a person bends and lifts, similar to a bow and arrow. This reduces the amount of energy an employee expels while lifting to simply their body weight, and makes lifting objects like bags of concrete easier.